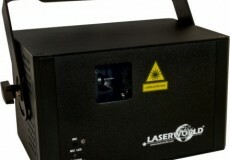 The expectations are high, as the CS-1000RGB was probably the highest selling RGB show laser light product with computer control ever – the new MKII version has been completely redesigned. “We have high expectations of the new MKII, as the development needed to match performance, quality and price in that product. It should still be the entry-level product for white light RGB and computer controllable show laser light systems, but with a modernized housing and improved technology. The price stays in the same range, but the laser system has more power, especially in green color, and improved preset patterns.” says Norbert Stangl, CMO of the Laserworld Group. 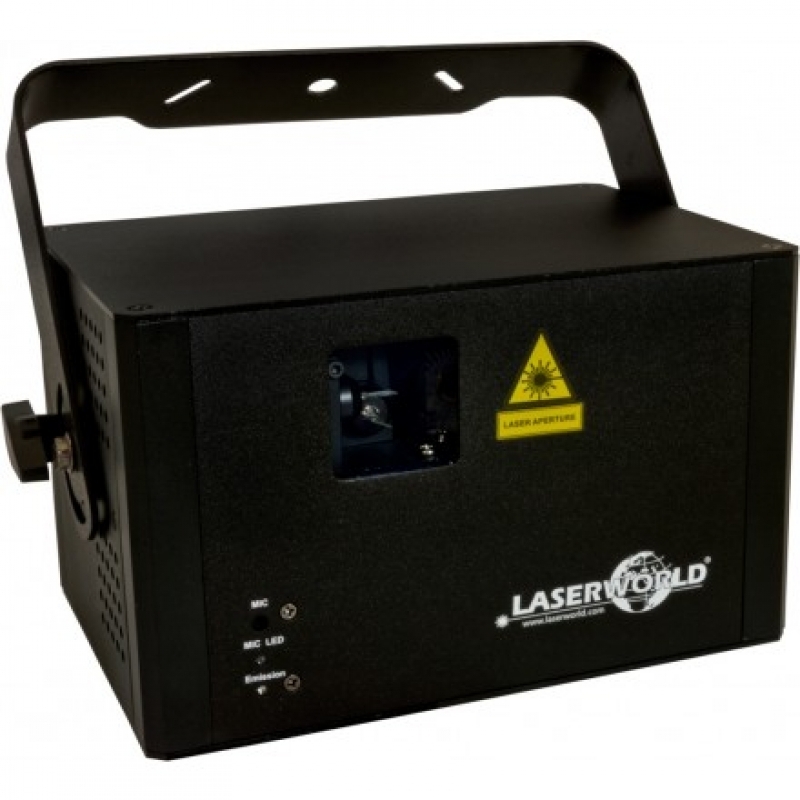 The Laserworld CS-1000RGB MKII power ranges from 800 – 1000mW, with >200mW/650nm red, >70mW/532nm green and >530mW/445nm blue. The scanning system is graphics capable and suitable for projecting basic logos and texts as well as abstracts. Together with fog or haze in the air the Laserworld CS-1000RGB MKII creates awesome beam and wave effects. Liquid sky effects are possible as well as multi colored beam effects – together with software control all kinds of patterns can be created and displayed through the MKII. Comparing the CS-1000RGB MKII to the previous model, not only the housing has been changed significantly, but also some important details were improved: The mounting bracket of the new MKII appears to be very rugged. It can be used for upright mounting of the laser on a tripod as well. The housing itself is smaller than the predecessor, and it’s more of a cube shape. Especially small rental companies and mobile DJs will appreciate this fact, as the stowing size is really small, and nightclubs take advantage of the small size as the unit better fits the interior design.